The Trump administration’s current trade initiatives, imposing billions of dollars in new tariffs, have the ability to wreak havoc on several important Gulf Coast economic sectors, including energy and chemical production. 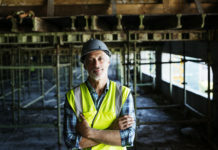 These two sectors are inextricably linked to the global economy and, collectively, account for as much as 14% of Louisiana’s manufacturing gross state product (GSP) and pay average wages that are more than three times the statewide average wage. Right off it is important to recognize that Washington’s recent trade actions, collectively, will directly impact the profitability of over $75 billion in recent capital expenditures in Louisiana and send a very bad signal to the market about future U.S. industrial development. Keep in mind that all of these Louisiana energy infrastructure investments have been made to serve global, not domestic U.S., markets. For instance, the growth in U.S. ammonia demand is around 0.5% per year, whereas growth in ammonia demand in Asia is almost 2% per year. U.S. methanol demand, while up in recent years, has a growth rate that averages around 2.5% per year, while in Asia it is about 5% per year. In fact, it is projected that by 2021 Asian methanol demand will account for 70% of worldwide demand, while North America and Europe will account for 9% and 8%, respectively. Thus, the billions in recent Louisiana commodity chemical investments have not been made to serve the relatively mature, slow-growing U.S. chemical market, but its faster growing counterpart in Asia. Recent numbers show the success of these billions invested in Louisiana. Chemical and energy industry exports from the state have increased by almost 350% since the beginning of the “industrial renaissance.” Currently, Louisiana exports over $28 billion in chemical and energy products. This represents 50% of all exports leaving the state, compared to just 27% in the early 2000s. Further, Louisiana currently has a trade surplus, not deficit, of almost $7 billion with China. These trends will only continue to march higher with the development of multiple liquefied natural gas export facilities that are anticipating commercial operation dates in the 2022 time period. Emerging trade conflicts with China, as well as Europe and our other North American trading partners, therefore, will do nothing more than compromise these hard-earned gains in a number of different ways. First, tariffs are another form of tax, and tariff rate increases represent nothing more than tax increases that will increase the cost of developing new and expanding upon existing energy infrastructure in Louisiana. 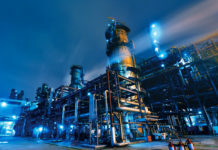 Anyone that has passed a petrochemical plant, refinery or LNG facility has likely observed that they are comprised of massive amounts of structural steel and interlaced with a prolific amount of steel piping. Pipelines are the circulatory system of the energy industry, bringing feedstock into plants and often moving product out to markets. These pipes are overwhelmingly composed of steel that is imported from various places around the world. All of these energy infrastructure projects, collectively, will see their costs increase as a consequence of these new taxes (tariff increases). Second, new tariffs and other trade restrictions will likely impact the development timing of many energy infrastructure projects, thereby imposing an additional set of negative impacts on infrastructure development costs. Consider that many energy infrastructure projects will be forced to seek substitute steel and other piping materials as a result of the current administration’s trade policies. Two types of delays will likely result: the first, associated with the time needed to simply find the substitute domestic materials, and the second, the time associated with delays created by bottlenecks and other logistical challenges that many domestic suppliers will have in meeting this new surge of unanticipated product and material demand. These delays will not only increase supply chain costs, but will increase the carrying costs of large capital investments themselves. Think about the carrying costs (interest costs) of a 12-month delay, at a 4% to 6% interest rate, for a $2 billion (petrochemical) or even $12 billion (LNG) project. Lastly, developing adverse trade relationships with Asian countries does nothing to facilitate foreign direct investment in the U.S., generally, and in Louisiana, more specifically. Consider the more recent $1.12 billion project announcement in Louisiana by Wanhua Chemical. 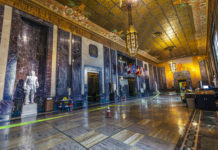 Recent press reports note that the company is now “reassessing” its investment in Louisiana given recent trade policy changes that will lead to a “significant” increase in costs that were otherwise not anticipated at the project’s original announcement. 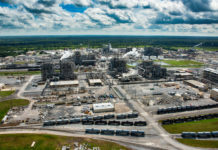 To date, there are no similar reports for the other large Chinese investments in the state, but it is likely that the $1.85 billion chemical industry proposal made by Yuhuang Chemical is having to re-sharpen its pencil on the project economics of developing this plant in St. James parish. These trends are even more problematic when considering that the typical “conventional wisdom” in infrastructure development circles over the last year has been suggesting that the next wave of large industrial development in Louisiana is likely to be motivated by Asian-backed investment dollars. If the current trade policy trends continue in Washington, that wave may very well not materialize here in Louisiana. 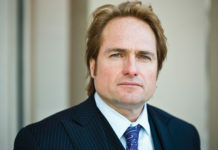 David Dismukes is a professor and the executive director of the Center for Energy Studies at the Louisiana State University. 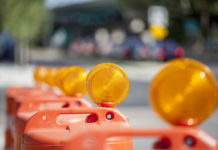 Industry Connections: When will ‘world class’ become our expectation for infrastructure? Gifford Briggs: What is your plan? © 10/12 Industry Report. All rights reserved.